The S23 is a very lightweight jackpick, 2.6 kg. It is robustly constructed and designed for use in the construction and metal fabrication industries. 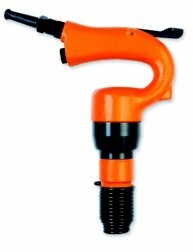 The jackpick can be used to clean brick, concrete and stonework. In is also used for the cleaning of welds, forging and castings. The S23 has a 12.5 mm shank.